The New York City Landmarks Conservancy announced on Wednesday that the recipient of its 2016 Chairman's Award will be Apple, in recognition of the company's preservation and restoration of notable historic structures in New York City. Specifically, Apple's SoHo, West 14th Street, Upper East Side and Grand Central Terminal stores are all cited for "marrying modern technology with distinguished architecture," the conservancy said. Grand Central Terminal is an individual New York City landmark, while the remaining three locations are within historic districts. The award will be given to Apple at the conservancy's 2016 Chairman's Award Luncheon on March 9. The honor was first spotted by iFun. The Landmarks Conservancy's Chairman's Award was created in 1988 to recognize exceptional organizations and companies that have demonstrated dedication to protecting New York's rich architectural heritage. 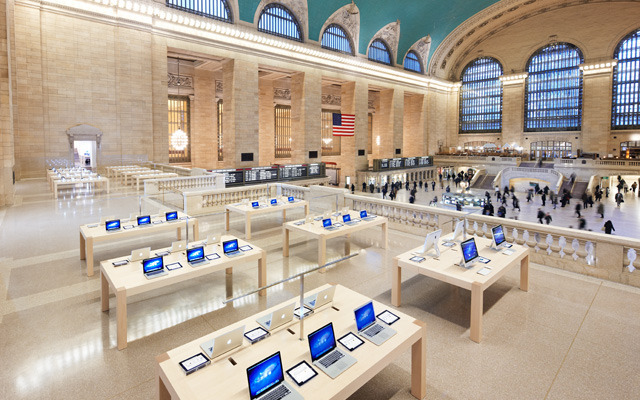 Perhaps the most trafficked of the bunch is Apple's Grand Central Terminal location, found right in the heart of the transportation hub. An estimated 700,000 people pass through the station every day. 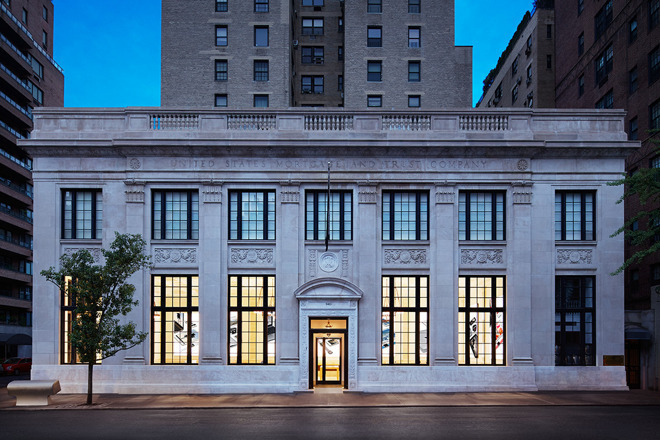 The newest of the recognized properties is Apple's Upper East Side store, found inside a remodeled bank. Apple kept many of the original features of the building intact, including a bank fault, which has been turned into a VIP room. Apple's SoHo location at 103 Prince St. was formerly occupied by the U.S. Postal Service. It underwent renovations to expand the property in 2011. Finally, Apple's 14th Street store in Manhattan opened in 2007. It's located in the heart of New York City's Meatpacking District and is part of the Gansevoort Market Historic District.